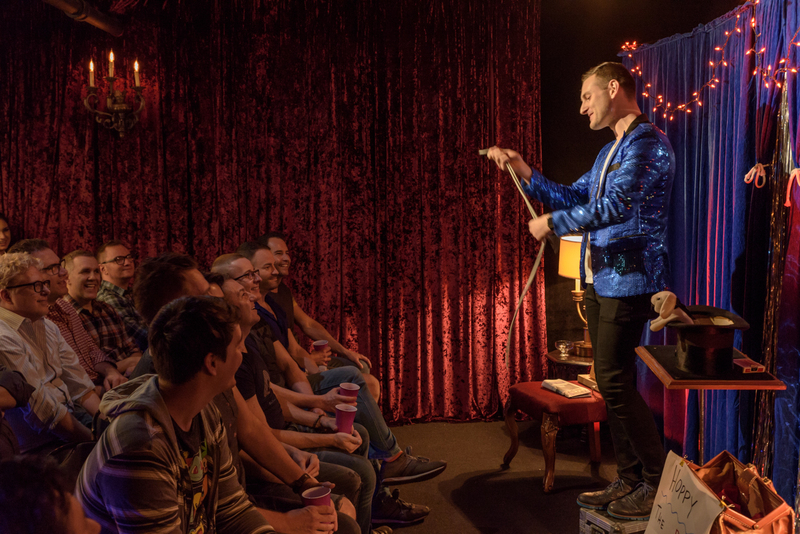 Bar magic—otherwise known as close-up magic or tableside magic—is Chicago’s contribution to the field, performed by prestidigitators who might also have poured your drinks, as the loquacious Cranford (also a former improviser and Chicago tour guide) tells it. That style of in-your-face hocus-pocus is center stage at the theater he created just for it: the Chicago Magic Lounge. Cranford’s Magic Lounge has existed for the past few years as not a space but a show with a rotating lineup, most recently playing two nights a week at Uptown Underground (see page 24). 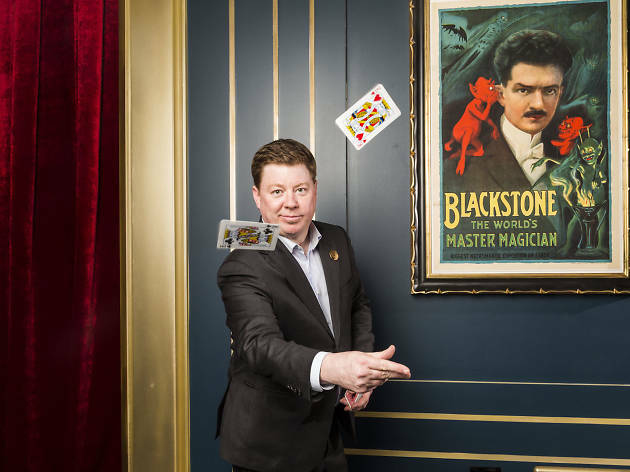 But with the eager assistance of Cranford’s business partner Donald Clark Jr., a magic enthusiast who saw the show at UU and offered to invest, the Chicago Magic Lounge opened in February as a brick-and-mortar venue in Andersonville. The new theater is split into three performance spaces. The front bar is open to the public, with a built-in magician’s table for informal shows seven nights a week. Tickets are required for shows in the main room, the luxe, 120-seat Blackstone Cabaret (an homage to the pioneering father-and-son magicians Harry Blackstone Sr. and Jr.). You can catch a more intimate after-show in the 43-seat 654 Club, named for a well-known card routine. The last of the old magic bars, Cranford says, was Schulien’s, a German restaurant on Irving Park Road in North Center, where three generations of the Schulien family did tricks behind the bar for more than eight decades before it closed in 1999. Luckily, Chicago hasn’t gone without magic in the years since. The performances just moved into different spaces: Magicians such as David Parr, Benjamin Barnes and Neil Tobin have concocted shows in traditional theaters like Stage 773 and the Greenhouse Theater Center, while young practitioners such as Jeanette Andrews and Mark Toland have taken their talents to the Museum of Contemporary Art and ACTIVATE’s pop-up parties. 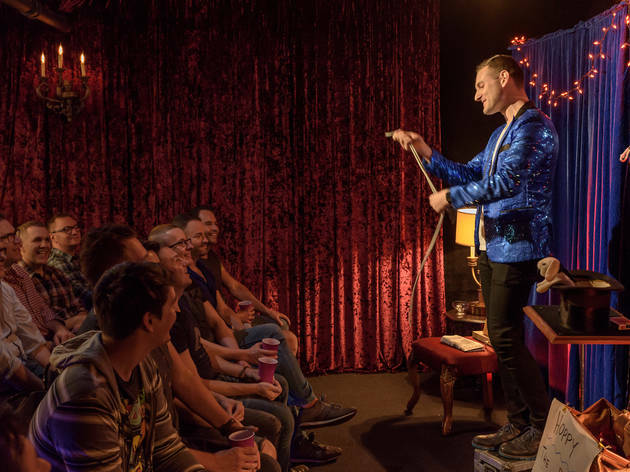 Meanwhile, actor-illusionist Dennis Watkins has made his one-man show, the Magic Parlour, a long-running staple at the Palmer House Hilton, and Nick Roy has transformed his monthly Magic Penthouse event into a hot ticket in the Loop. 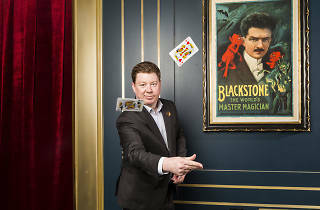 And erstwhile street magician Aaron Rabkin opened his own magic parlor, Trickery Chicago, in a small Boystown storefront last fall (beating Cranford by a few months). From card tricks to mentalism, here’s where to see the city’s most mind-bending illusionists.